Due to their ongoing high level of killings and impunity levels, the IFJ Asia-Pacific will this year continue to focus on Pakistan and the Philippines as well as highlighting impunity issues in other countries in the region over 22 days. In the Asia-Pacific last year, a journalist was killed at the rate of one every ten days. This year the IFJ AP is going to look at impunity in all its forms and how this stifles press freedom and restricts journalists across the region. The campaign will address the issue of justice denied for media across the Asia Pacific. 1. Write a letter to governments calling for action. The Philippines, Pakistan and India are the three focus countries for the IFJ AP campaign for 2015, although we will promote action of each country as requested by affiliates. We encourage each affiliate to write a letter to the governments of these countries calling for action on the issue of impunity for crimes against journalists. Sample letters will be available in coming days. Use social media to promote the impunity campaign using the #EndImpunity and #IFJ for campaigns and related activities and material. Following on the 2014 #whatareyoudoing? campaign, this year we are asking people to share images of country leaders using the hashtag #whatareyoudoing? Follow last years #whatareyoudoing? campaign and take pictures calling your leader to account. These countries remain the deadliest and most dangerous for journalists across the Asia-Pacific region. Each year the IFJ calls on the governments to end impunity, yet little action has been done. Pakistan: Pakistan has long been among the most dangerous countries in the world for journalists as 95 journalists and media workers have lost their lives since 2005. From 2010 to 2014, 61 journalists and media workers were killed – its one journalist killed every month. India: India is the largest democracy in the world given its huge population and also without a major armed conflict. Yet, its record on punishing the murderers of journalists is so dismal that it has been listed every year in the Committee to Protect Journalists (CPJ) Impunity Index since 2008. With 31 murders of journalists since 2010 and 83 since 1990, and without justice in most of the cases, impunity is rife in India. This year already, 6 journalists have been killed. Draw attention to the missing journalists across the AP region and call for action on their cases and investigations. The IFJ will launch in collaboration with IFEX, the IFJ missing journalist list, Without a trace. The list will document the case of each journalist missing in the Asia-Pacific. In 2014, the Asia-Pacific region was the deadliest region across the globe for journalists with 39 killings. In 2015, so far 86 journalists have been killed worldwide, 23 of which are from the Asia Pacific. In India, six journalists have been killed this year – and Uttar Pradesh is fast becoming a hot spot for violence against journalists, with 3 murders. Action: Advocate for the murders in India – write to the Uttar Pradesh government calling for action. Write to the government’s of country’s listed above calling for action on their promise to advocate for journalist rights. Publish the suggested IFEX Op-Ed piece (Appendix I). Less than one in ten cases involving the killing of journalists is ever resolved. 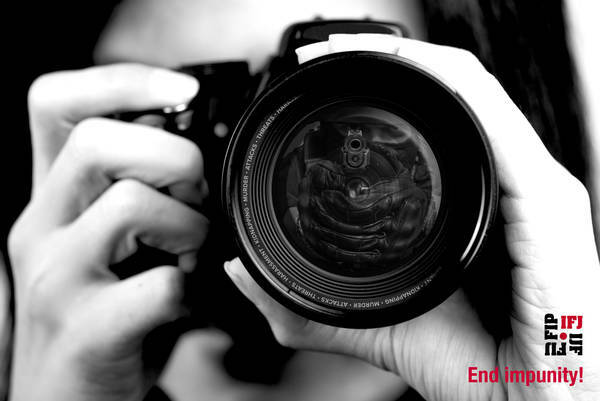 #WhatAreYouDoing to #EndImpunity? Join #IFJ End Impunity Campaign 2015 to take some action.